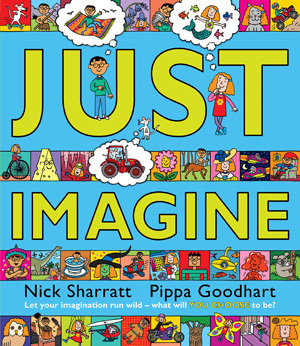 This month I’m exploring books about imagination – there are so many of them! I love the quote below from Walt Disney as it’s so true. It’s easy to lose our imagination if we don’t use it. I’ve always loved reading to my boys. When they were little we’d collect a pile of books and snuggle down on the sofa together. Books were my life saver in the last weeks of pregnancy with my second. Joseph and I would spend those days reading a short version of Wind in the Willows and acting out the bit where Moley falls into the water – it was about all I could do as I was pretty massive by then! The other thing I learned to enjoy was reading with gusto. Before then I’d never really read out loud and felt a bit awkward doing it. I soon realised that the more drama you put into your reading, the funnier the voices, the more my boys got out of it. So this month, if you don’t already, put a bit of oomph into your reading, everyone will have so much more fun. What a fun book! Follow the instructions on the page and see what the dots will do next. I can tell you, they do some crazy things! 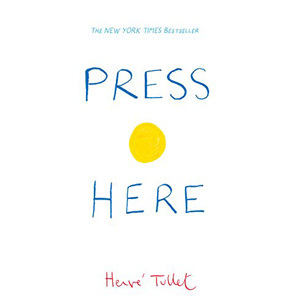 If you want a book for a toddler that makes them think about what books can do then this is the one. I read some reviews on Amazon complaining that their child wanted to do something different to the instructions but surely that’s the whole point! I can imagine a toddler thinking up all kinds of adventures for the dots to go on. This book is full to the brim with wonderful illustrations. Every page is a riot of colour and fun. There’s plenty of scope for exploring for hours and few words so the book would be good for preschoolers as well as those just starting school. With so many pictures there’s lots of room for discussion and imagination from the readers. Definitely a book you can either sit and look at together or let your child get lost in the illustrations. Nick Sharatt and Pippa Goodhart are a great writer/illustrator combo. They have lots of other books along the same lines to check out. My boys loved this book when they were little. 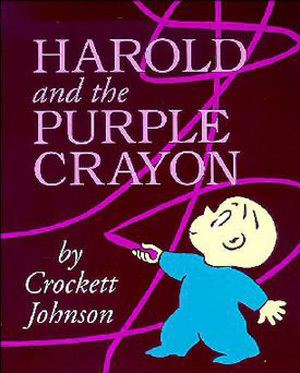 Harold very simply takes his purple crayon on a walk. Every time he needs something, he draws it. Harold’s imagination takes him on adventures, some of them are a little scary but Harold has the crayon and can get himself out of danger. Follow Harold on his adventure and then have a conversation with your little one about what they would draw if they had a purple crayon. You could have some great imaginative games, drawing and then pretending to be in the pictures. Have fun! 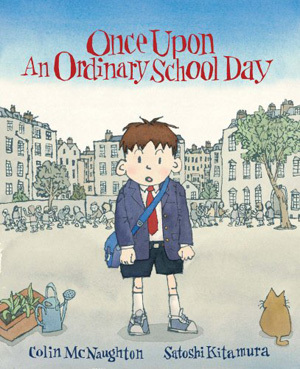 One day an ordinary boy goes to an ordinary class at school and has an extraordinary lesson. His teacher plays the class some music and tells them to write about what they hear. Everyone in the class hears something different and wonderful. The boy is transported to another world and the music stays with him long after he gets home from school. Ruthie has an imaginary friend called Jessica. Jessica does everything with Ruthie, she’s both a companion and a scapegoat. 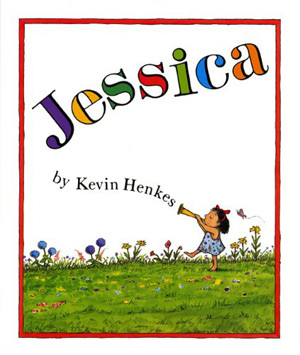 So, when Ruthie goes to Kindergarten, her parents suggest Jessica stays at home, so that Ruthie can make new friends. 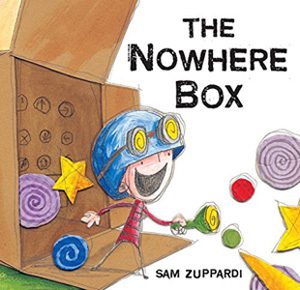 This is a sweet story about the comfort of an imaginary friends and the fun of real ones. George’s brothers are annoying him, they keep ruining his games. So, he finds a box and goes to the one place they can’t follow; Nowhere. This would be fun to read whenever you have a spare cardboard box to play with after. The little boy in this story has a million toys but is still bored. That’s when a trip into the attic gets very interesting. 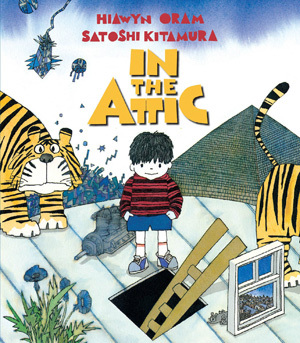 I love the illustrator Satoshi Kitamura, his books are always full of things to look at. There are very few words in this book but plenty of things going on each page. Lots to discuss and giggle at. Once the book is published there’s no end of trouble as people start to recognise themselves in the descriptions and are up in arms. 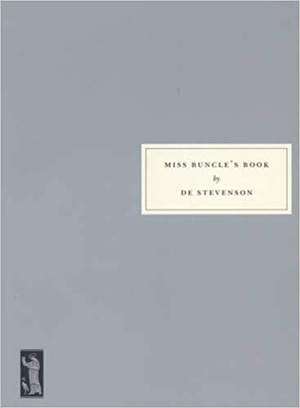 What trouble is Miss Buncle’s imagination going to get her into? This is such a charming book, set in the 1930’s, it’s got all the innocence of the age that you’d expect and is thoroughly British. If you’re after a light, funny read then this is for you. Kellyanne has two imaginary friends, her brother Ashmol spends his time teasing her about them. But when her dad is accused of ratting another man’s Opal mine, they disappear and Kellyanne falls seriously ill. It’s up to Ashmol to find them. 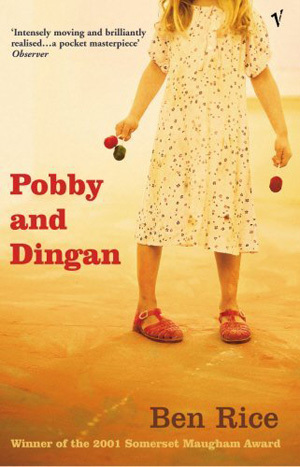 The only way that Ashmol can find Pobby and Dingan is to believe in them too. This is a beautiful short read, it took me two days to zoom through it. It’s set in an Australian mining town and the prejudices and mindset are brilliantly reflected in the narrator, Ashmol’s, young voice. You probably won’t read a shorter book this year, but that’s good if you’re short on time. Let me know what you think of these books, I’d love to hear your thoughts.